As I ride the early morning fast-speed train from London to York, the two hours on the train give rise, once again, to the question as to why Arthur left Winchester for the long trek north to York to hold a “parlement.” Why? Was there a bishop that needed to be consulted? A powerful noble whose men and arms would be essential? Was it the ancient or symbolic starting place for campaigns? The place where the lords of the north would join with those of the south? It just doesn’t seem to make a lot of sense, especially to me as an American. 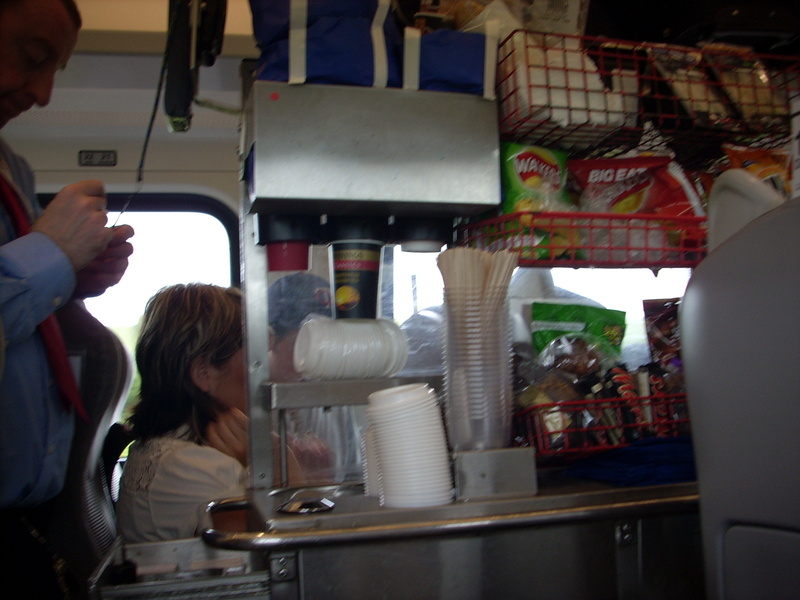 The train is filled with vacationers, many with children. There is an air of festivity and a great stir each time we enter a tunnel–the interaction of the fast-speed train in the tunnels causes an air pressure change and everyone’s ears pop. “Whoo!” shout the children amid laughter, tunnel after tunnel. 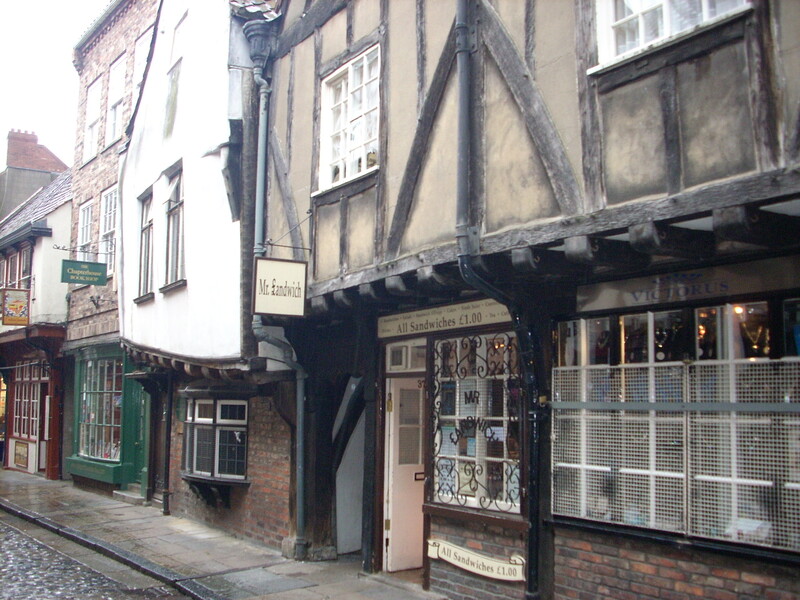 Triangulated between the River Ouse and the River Foss, York was long considered a center of government in the north—from the Romans, to the Anglo-Saxons, to medieval kings. and its medieval city wall surrounding the historic city center. 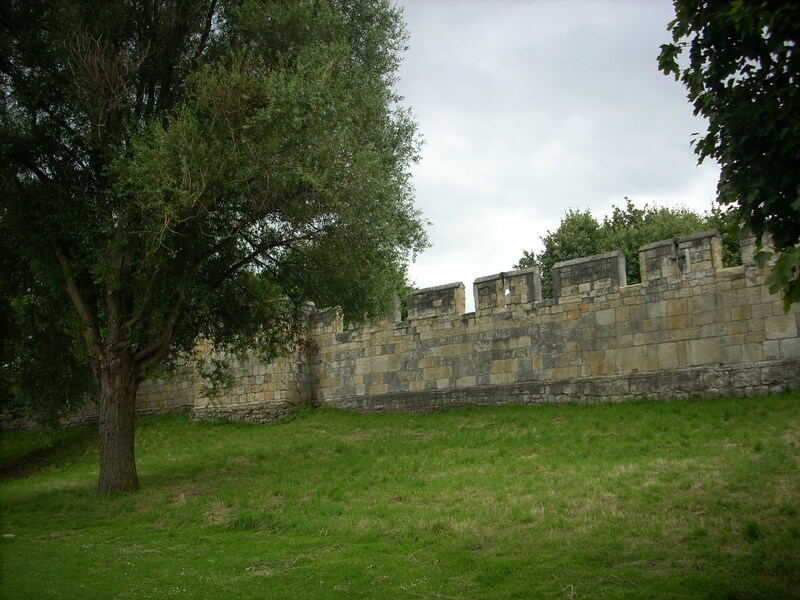 But before the medieval period, York, then called Eboracum, was a Roman provincial capital–the northernmost city of the Roman Empire. Perhaps this has some bearing on the York plot element in the Roman War story? If York represents the far reach of Rome, could Arthur‘s campaign be seen as traversing from the furthest periphery to the center? I am grasping at straws and decide to see what unfolds in York. To my surprise, I do not love York. It is packed with large groups of Italian school children, as is every historic town in England in the summer. The kids themselves are fine but, along with the many tourists, the streets are crowded and claustrophobic. I spend the day wandering the Minster and taking refuge from the crowds by walking the high wall that surrounds the city. The Minster is beautiful and soaring, with stunning stained glass windows. Towards afternoon, I double back alongside the exterior of the Minster and come upon . . . a statue of the emperor Constantine, first Christian emperor of Rome. Constantine, in his Roman attire, leans back with an easy authority in front of the medieval Minster: the power of Rome juxtaposed with the authority that came to supplant it: medieval Christianity. I read the inscription and a theory starts to form. The 1998 sculpture commemorates the proclamation of Constantine as Roman Emperor in 306 AD—–at York. Ah ha. 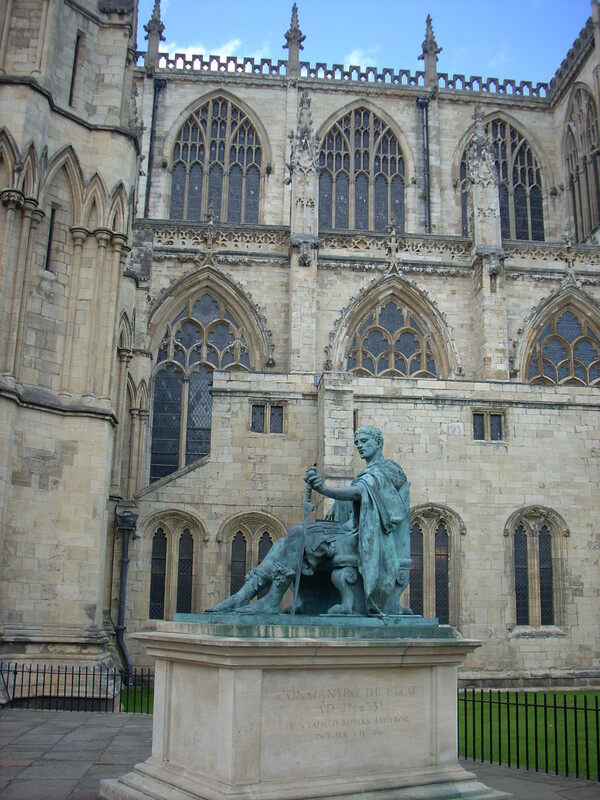 Constantine was on campaign with his father, battling the Scots, when his father was slain and Constantine’s troops asserted his succession; since then York has proudly claimed Constantine as the only Roman emperor crowned in England. Constantine our kinsman conquered [Rome], and dame Helena’s son of England was Emperour of Rome. Since my visit to Rome, I have also learned that the Roman legionnaire Magnus Maximus (335-388 BC), upon whom Arthur’s story may be grafted, fought the Picts in the North of Britain, then headed to France and on into Italy to battle the rival claimant for the crown of the Roman empire, a journey mirrored in the Roman War account of King Arthur. 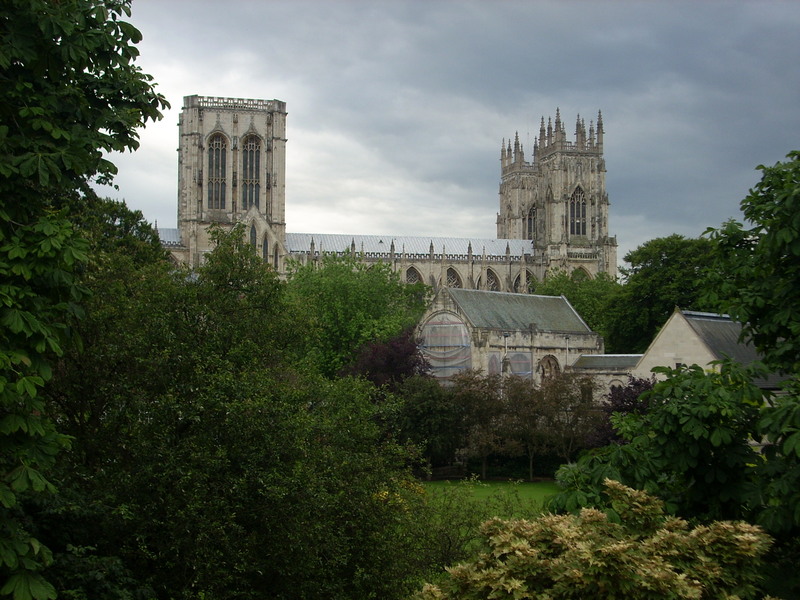 Either way, York seems to represent, geographically and symbolically, Arthur’s claim to the emperorship of Rome via the figure of Constantine and/or the deeds and itinerary of Magnus Maximus. Ah. Tomorrow—on to Sandwich. Arthur gives his men 15 days to assemble in the port town, 270 miles south of York. At an average rate of travel of 20 to 30 miles a day on horseback, they have a very short time to prepare to depart for the greatest overland campaign of Arthur’s reign.